We have some exciting news about two upcoming Jane Austen Festivals held by JASNA regions in Louisville (just next month) and Pittsburgh (next year). First, the 2010 Louisville Jane Austen Festival will include a presentation from Edward Maeder, who created the bonnets & turbans for the PBS documentary on Dolley Madison. Mr. Maeder will have ten of his creations from the documentary on hand. Check out the confection to the left…stunning! Other presentations for the Festival include keynote speaker Kim Wilson, author of In the Garden with Jane Austen and Tea with Jane Austen, workshops, four-course tea, and a ball on Saturday evening. The Editrix had such a good time last year, she is road-tripping out with three friends for this year’s event–say hi to us if you see us there! Registration and other information is available at the Louisville region website. 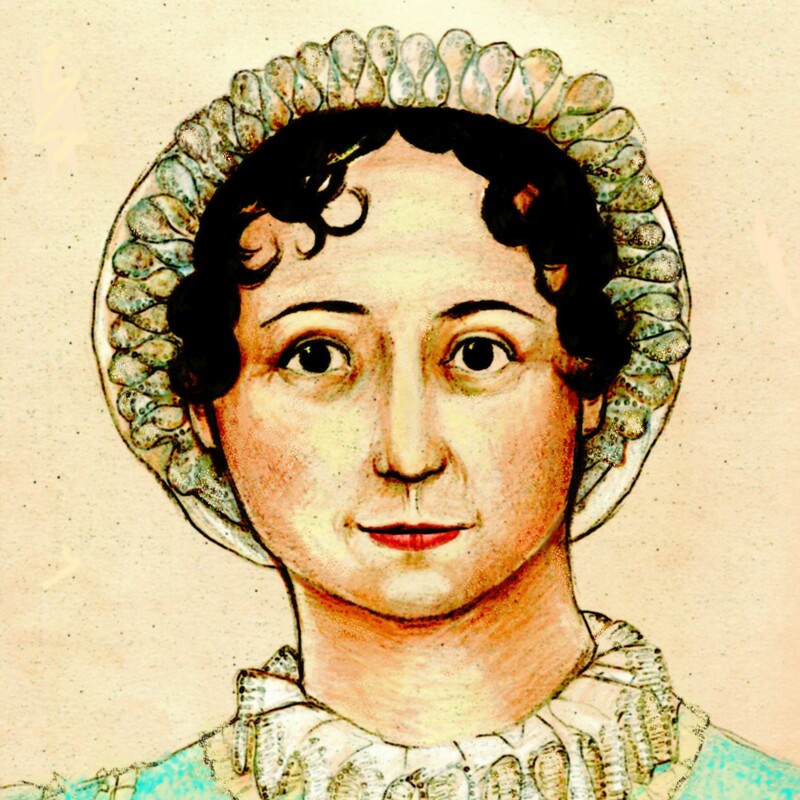 Also, JASNA’s Pittsburgh Region will hold a Jane Austen Festival on March 12, 2011. There will be speakers, including Joan Klingel Ray, novelist Gaelen Foley, and Linda Troost and Sayre Greenfield, Professors of English and editors of Jane Austen in Hollywood. There will be other speakers, a fashion show, and a Saturday night ball! The lovely and talented Allison Thompson, dance historian and AustenBlog book reviewer extraordinaire, will be speaking as well. They have some other plans in development that sound like a lot of fun. Our calendar is marked; we are thrilled to be only a (longish) train ride away from so much fun! The head piece looked exceptional! Hope you all have great fun with the festival.